Occupy Homes MN supporters march down Portland Avenue to reclaim a vacant foreclosed house in Minneapolis. 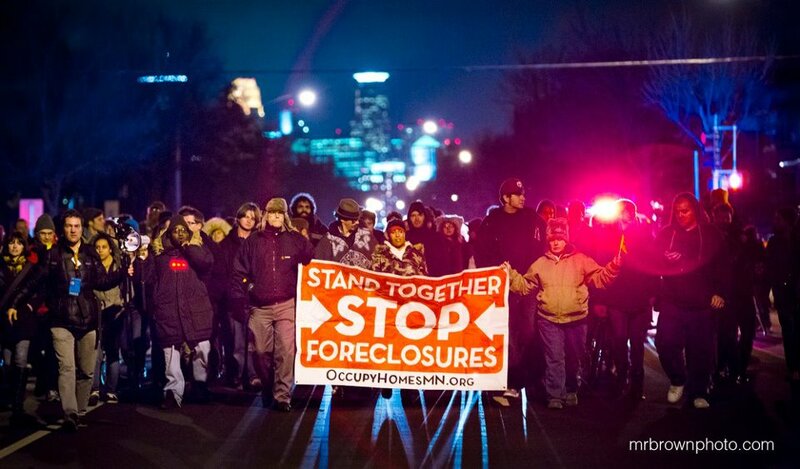 Photo credit: MrBrownPhoto.com via Occupy Homes MN. I’m just reading this, absolutely F’n amazing that people are doing this. And I was upset a month ago that my neighbor came across the street and cut down a tree for his own firewood use without asking! This is called squatting.